Robert Mann Gallery presents work by Ansel Adams, ranging from vintage prints dating back to the artist’s very early career in the 1920’s, to extraordinary and unique masterpieces of his most iconic images such as Moonrise, Hernandez, New Mexico and Aspens, Northern New Mexico. Since 1977, Robert Mann has been a preeminent source for Adam’s work with a history of exhibiting some of the finest examples. Through refined detail and an unparalleled way of capturing the country's remaining fragments of untouched wilderness, Adams remains one of the leading and enduring influences in American art today. Adams’ photographic legacy is tied to his dedicated environmental work alongside The Sierra Club and The Wilderness Society to defend wild spaces of the West and establish new national parks. Adams was able to convey the spirit of these landscapes through his skillful technical ability to visualize an image and produce a photograph that matched and expressed that visualization. His ability to find perfection in the darkroom coupled with his work behind a camera, has produced some of the greatest landscape photography ever made. This exhibition will display a collection of photographs brought together using a rigorously connoisseurial approach to find works that excel in subtle variations in tonality and contrast, along with pristine physical condition that define Adams’ most distinguished prints. Ansel Adams (1902-1984) was born in San Francisco, California, and took up photography at the age of 14. Given a camera by his parents upon a trip to Yosemite National Park, Adams quickly became enamored with the rugged vistas that would continue to inspire his life’s work. Adams began working with the Sierra Club, and in the course of the coming years met noted photographers Edward Weston, Imogen Cunningham, and finally Alfred Stieglitz, who presented the first solo show of Adams’ work at his New York gallery, An American Place. Soon after, Adams assisted with the foundation of the Department of Photography at the Museum of Modern Art and would curate several exhibitions there throughout the coming years. With Imogen Cunningham and Edward Weston, he co-founded Group f/64. In 1952, Adams was among the founding members of Aperture magazine. He was the recipient of three Guggenheim fellowships and in 1966 was elected as a fellow of the American Academy of Arts and Sciences. In 1980, he was awarded the Presidential Medal of Freedom by Jimmy Carter. View Ansel Adams at www.robertmann.com starting October 25, 2018. For additional information and press materials, contact the gallery by telephone (212.989.7600) or by email mail@robertmann.com. Hours: Tuesday-Friday, 10-6 and Saturday, 11-6. Robert Mann Gallery presents work by Ansel Adams, ranging from vintage prints dating back to the artist’s very early career in the 1920’s, to extraordinary and unique masterpieces of his most iconic images such as Moonrise, Hernandez, New Mexico and Aspens, Northern New Mexico. 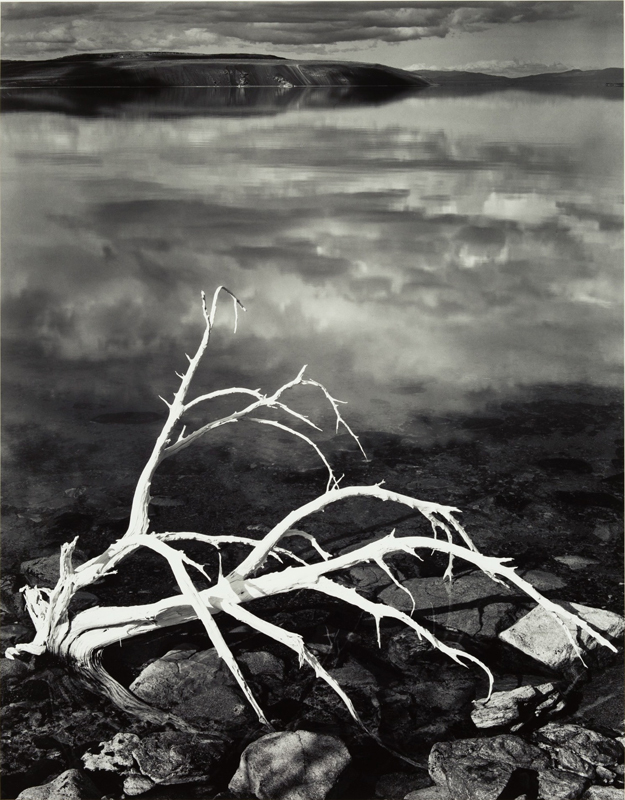 Robert Mann Gallery, is currently exhibiting vintage prints from Ansel Adams’s early career. Some of Ansel’s most prolific work documents the disappearing landscapes of New Mexico, California and Nevada. Ansel began taking pictures at 14 years old and in 1952 was among one of the founding members of Aperture Magazine. To this day, his photographs remain prolific in spirit, in expression and attention to detail.